We have been drinking a ton of hot chocolate in our house lately. There's just something super soothing and satisfying about a hot cup of milk mixed with cinnamon and dark chocolate. It turns out we are also big fans of bananas, but they don't last long. Although most of them are eaten as is, or tossed into smoothies, we are always stocked with bananas at every stage of ripeness. 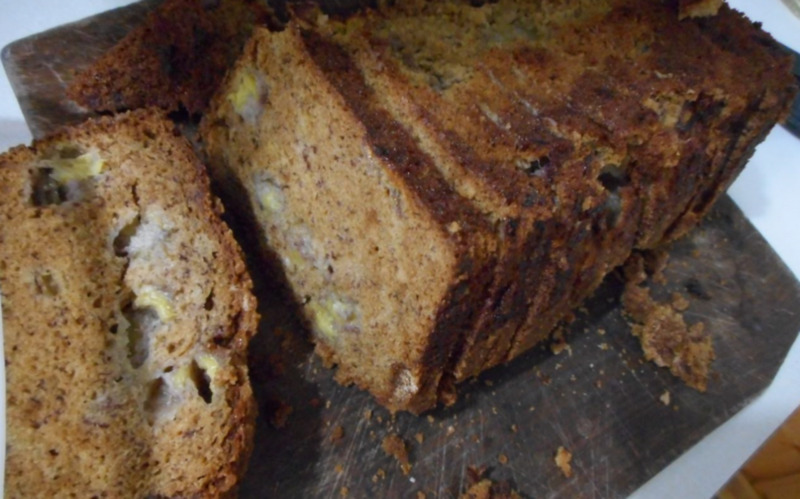 I don't like to waste anything around here, so we make a lot of banana bread. 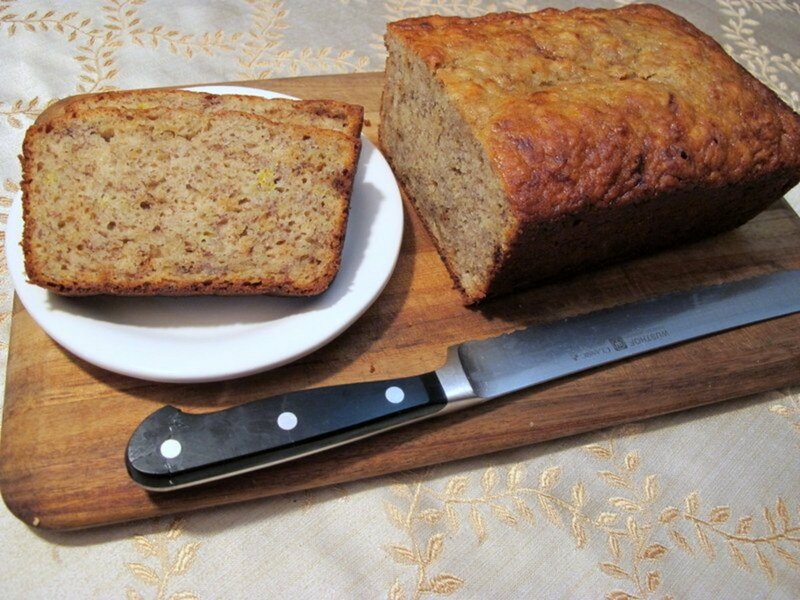 Currently, I think I'm up to about 10 different flavors of banana bread that I've made to accommodate the various seasons, as well as my various cravings. 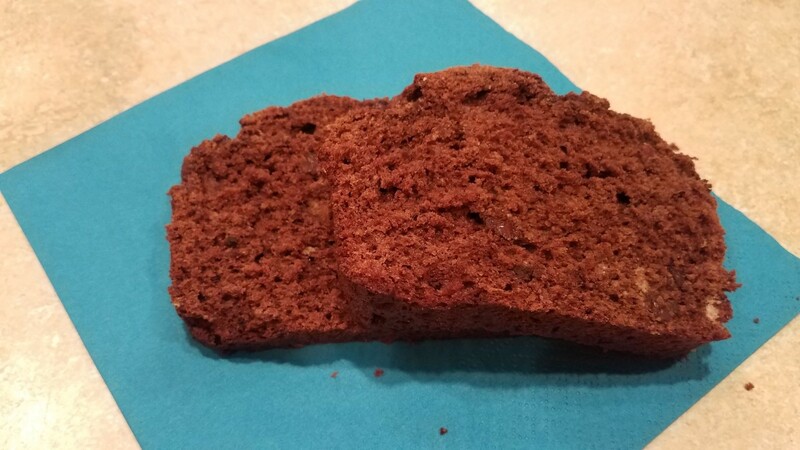 This time, a hot chocolate banana bread flavor just sounded wonderful. So, in my fashion, I gave it a shot. 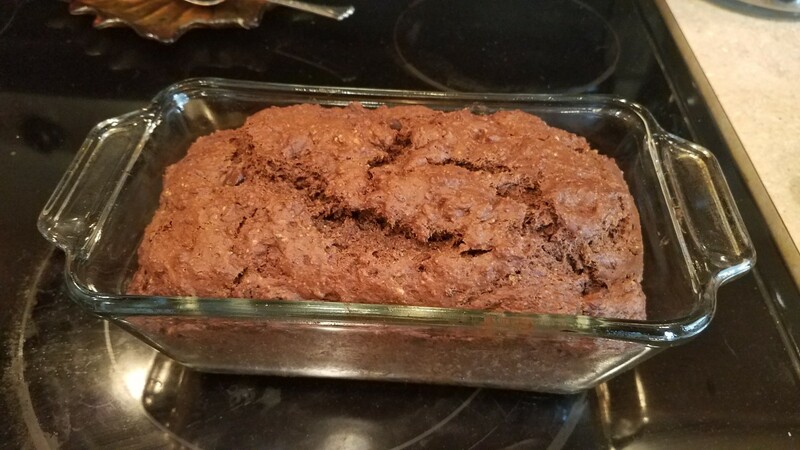 I made my traditional banana bread and then tossed in some cocoa powder and cinnamon, just like I use to make my yummy hot chocolate drink. My recipe already had sweetener in it, and dark chocolate chips just seemed appropriate. Boy, did it turn out amazing! My kids and I have been eating it for breakfast every morning, and sometimes as a snack. Yum! I like to slice it up, slide each slice into its own snack bag, and pop them into the freezer. 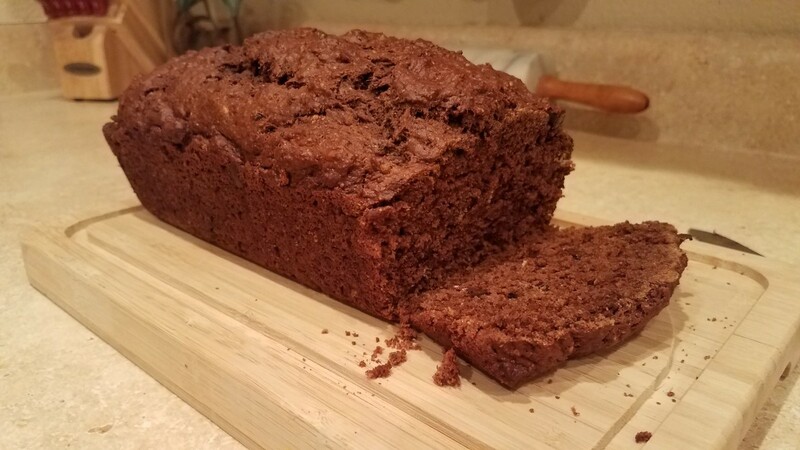 That way, I don't have to worry about my banana bread going bad, it doesn't take up any room in the refrigerator, and even my kids can pull out a piece to snack on any time they want. All it takes is 30 seconds in the microwave, and my husband can take a quick breakfast with him on the way to work, or I can have breakfast on the go trying to keep up with two toddlers in the house. I also love knowing that with all of the healthy, wholesome ingredients included, I don't have to worry about what my children are eating. I do recommend having them eat it in the kitchen though; otherwise, you'll have chocolate all over the place. Let me show you how I made it! 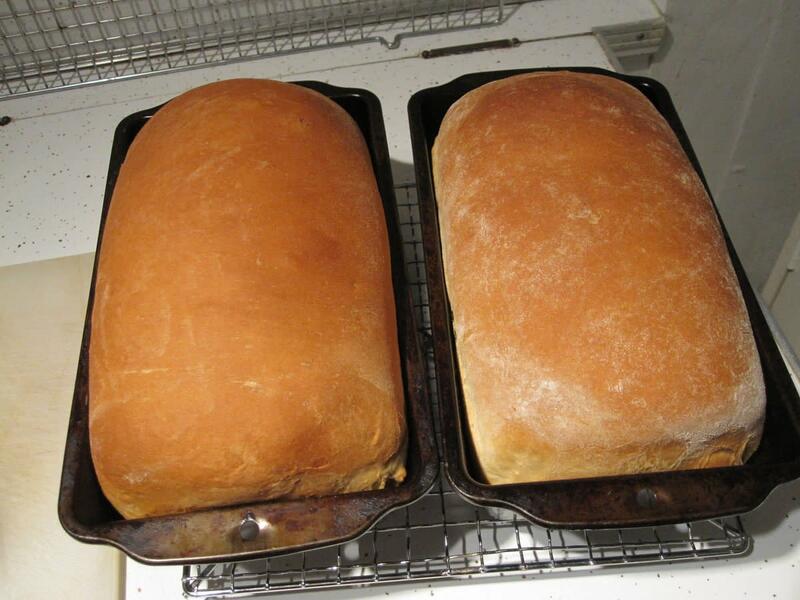 Preheat your oven to 250 degrees F and grease a loaf pan with some coconut oil. You could also line the pan with parchment paper for easy removal. 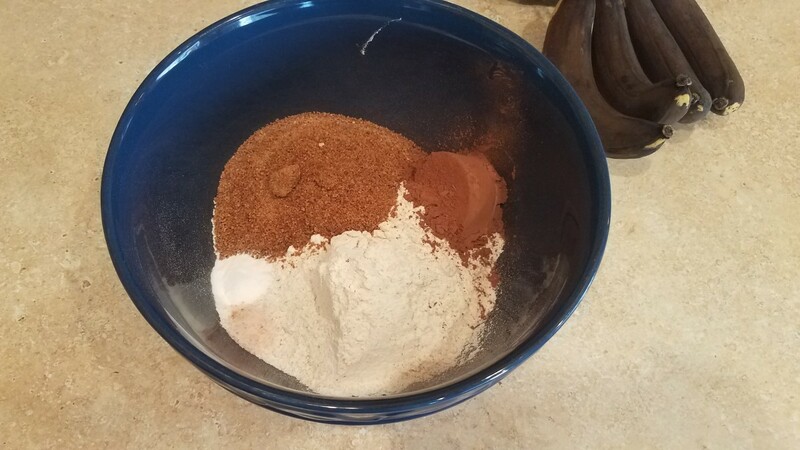 Mix all of your dry ingredients together in a large mixing bowl. Then add all of your wet ingredients. 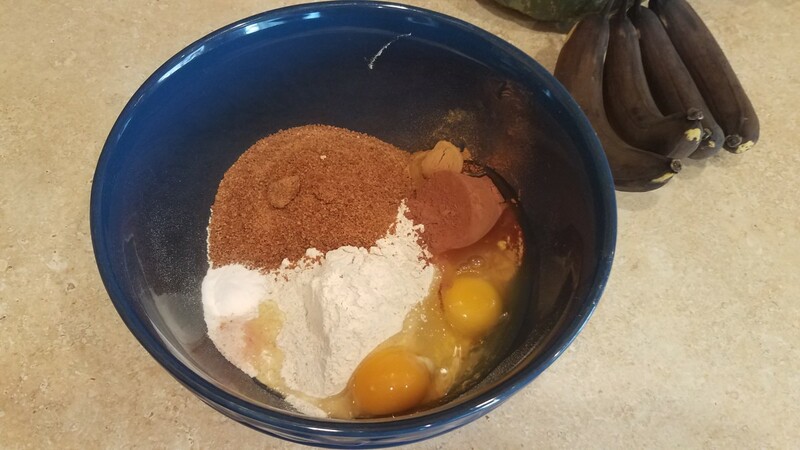 Mix well to combine all ingredients until all of the lumps are gone. 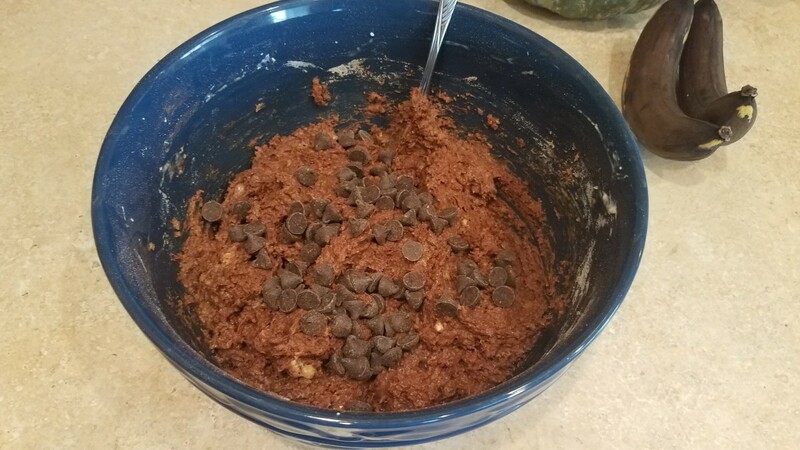 Finally fold in your chocolate chips. 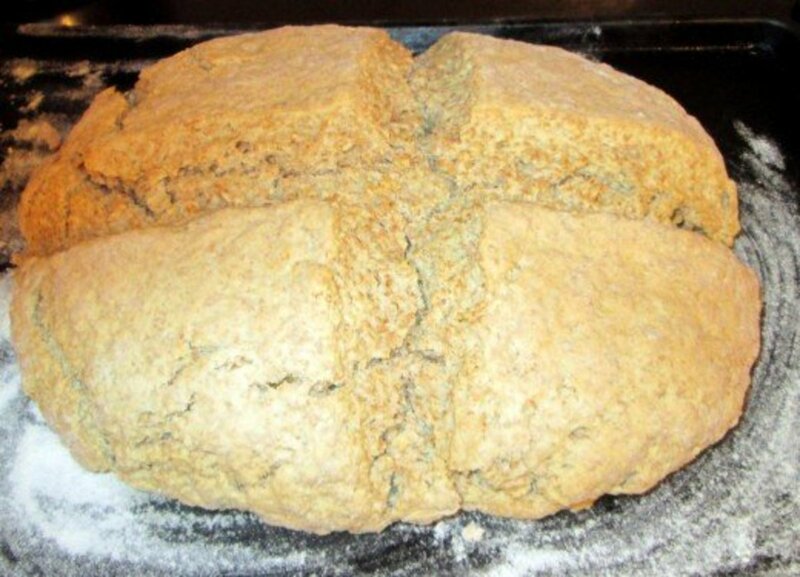 Pour the batter into your prepared loaf pan and slide it into the oven. Bake for 1 hour and then cool before removing from the pan. 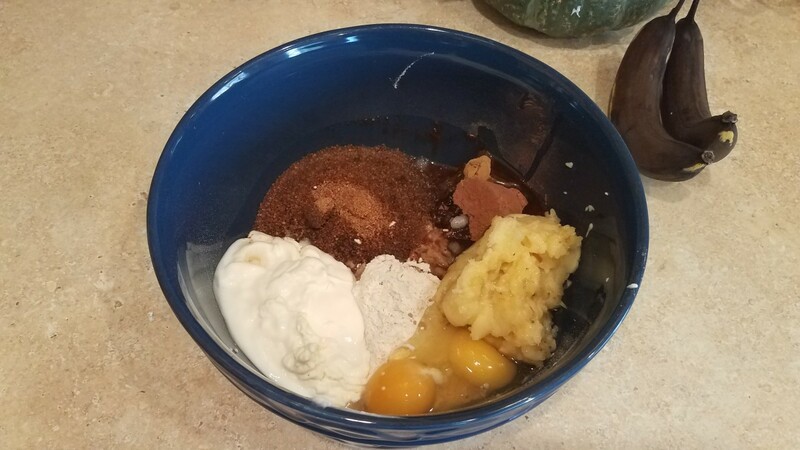 Add all of your dry ingredients to a large mixing bowl. Now add you wet ingredients to the bowl. 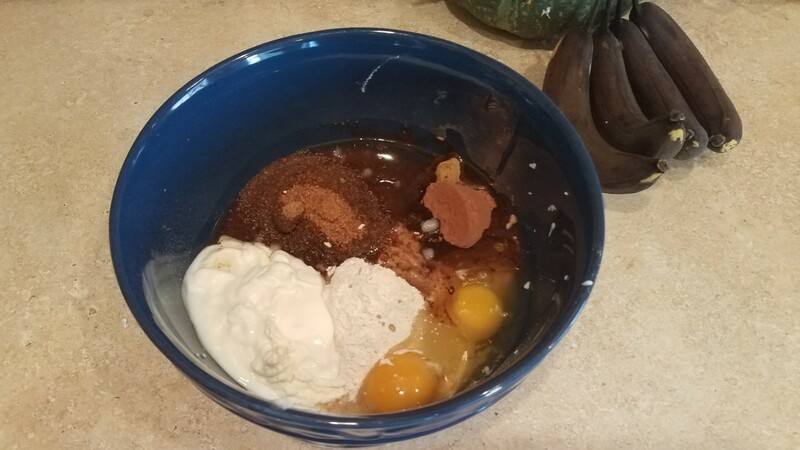 First i added my eggs, vanilla, and coconut oil (melted). And then I added my yogurt and bananas (that I had smashed in another bowl first). Then add your chocolate chips. 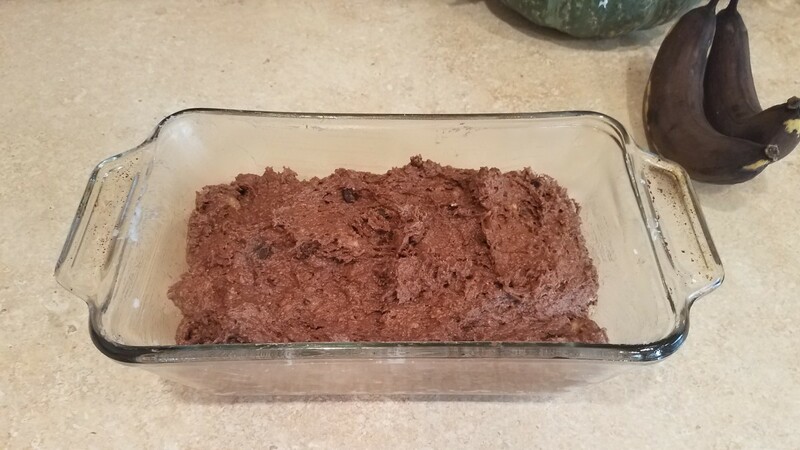 Pour into a greased loaf pan and bake for 1 hour. 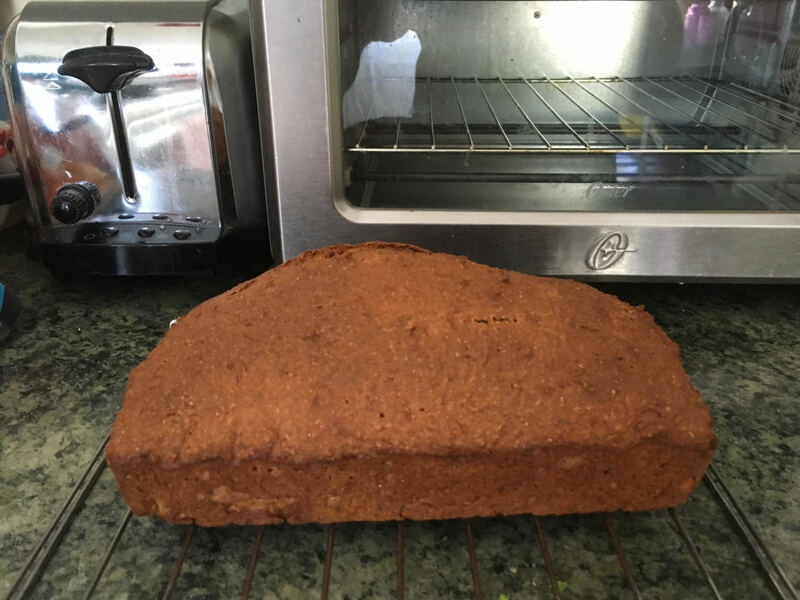 Allow to cool before removing it from the loaf pan. Yum! I've had this for breakfast every morning. 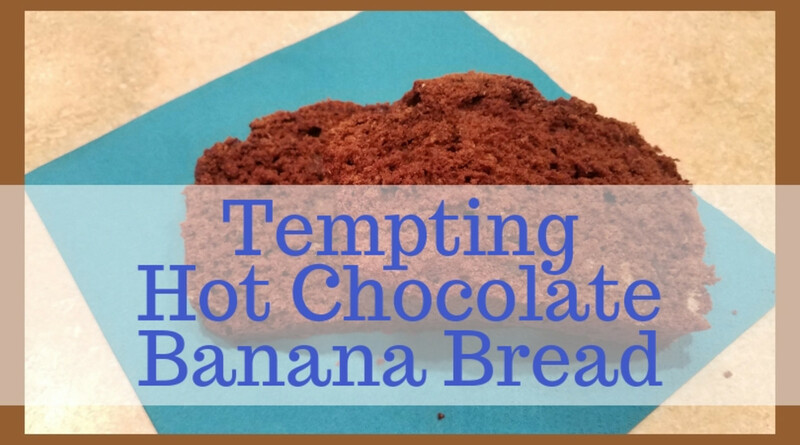 So, it doesn't exactly taste like hot chocolate—unless, of course, you like bananas in your hot drinks! In any case, it sure is delicious. In fact, I just finished another piece this morning. We like to keep our freezer and pantry stocked with all sorts of delicious snacks for ourselves and our kids. This recipe would be a fun one to turn into granola, granola bars, or even instant oatmeal. I already have a Banana Bread Granola and a (clean eating) Banana Bread Instant Oatmeal recipe. 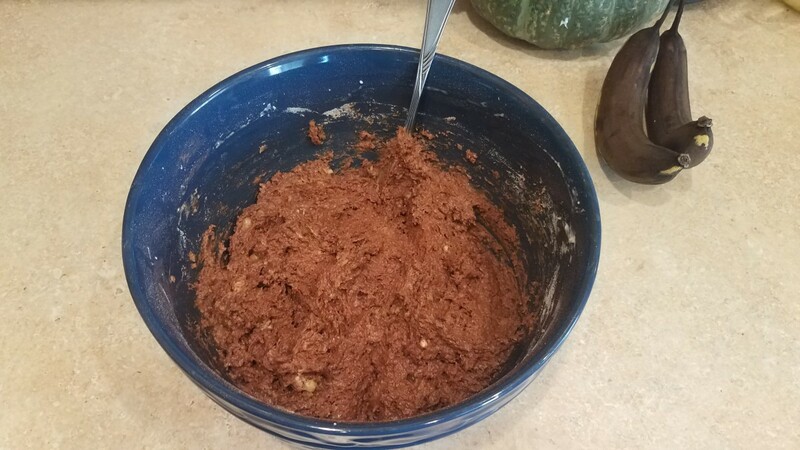 By simply adding cocoa powder, cinnamon, and some chocolate chips, either of those recipes could also be transformed. It really is fun to provide yummy food for my family to eat. It may look or sound daunting, but my purpose in sharing these recipes is to show you how easy it really can be. And once you get started, and especially with the more practice you get, cooking for your family will become second nature. Notice that I didn't slave away for hours to make this. It may have taken 5 or 10 minutes to toss this together and stir, and then for the next hour, I did something else. I will normally do laundry, dishes, crafts with the kids, go to the park, have a picnic, or maybe even make something else in the kitchen while my concoctions are baking. If you'll notice by the 4 bananas in the picture, I also made another loaf of banana bread, this time carrot cake by request! I can't wait to share that recipe with you as well. Give it a shot and tell me what you think!